A woman in Paterson, New Jersey was recently caught on camera smashing the windows of her ex’s car with a hammer – all while the couple’s children were in the back seat. The video shows the woman walking around the car while she breaks the windows with a hammer as her children sit in the back seats, screaming and crying. After she finishes breaking the windows, the woman then takes both children and puts them in another car. 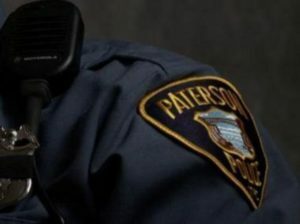 As a result of the incident, the Paterson Police charged the woman with endangering the welfare of a child and criminal mischief. The available information did not indicate whether or not the Division of Child Protection and Permanency (“DCP&P”), formerly the Division of Youth and Family Services (“DYFS”) became involved as a result of the incident. But, regardless of the outcome of the criminal charges, DCP&P may conduct its own investigation because a criminal investigation by the police and an investigation by DYFS are completely separate. Thus, in this case, the outcome of the criminal charges has no bearing on whether or not the Division substantiates or establishes a finding of child abuse or neglect against the mother pursuant to Title 9. According to N.J.S.A. 9:6-8.21(c)(4) “abused or neglected child” means a child less than 18 years of age whose physical, mental, or emotional condition has been impaired or is in imminent danger of becoming impaired as the result of the failure of his parent or guardian to exercise a minimum degree of care (a) in supplying the child with adequate food, clothing, shelter, education, medical or surgical care though financially able to do so or though offered financial or other reasonable means to do so, or (b) in providing the child with proper supervision or guardianship, by unreasonably inflicting or allowing to be inflicted harm, or substantial risk thereof, including the infliction of excessive corporal punishment; or by any other acts of a similarly serious nature requiring the aid of the court. If you are accused of the crime of child endangerment or accused of child abuse or neglect by DCP&P in New Jersey, it is important to consult with an experienced DYFS defense attorney who is familiar with handling both DCP&P and criminal matters in order to develop a comprehensive defense strategy. The DYFS defense attorneys at the Tormey Law Firm are well-versed in all areas of child endangerment and child abuse and neglect law including DCP&P investigations, the outcomes of DYFS investigations, and how to fight against DCP&P. If you are facing an allegations of child abuse, neglect, or endangerment, don’t hesitate to contact the New Jersey DYFS defense attorneys at the Tormey Law Firm now at (908)-356-6900.